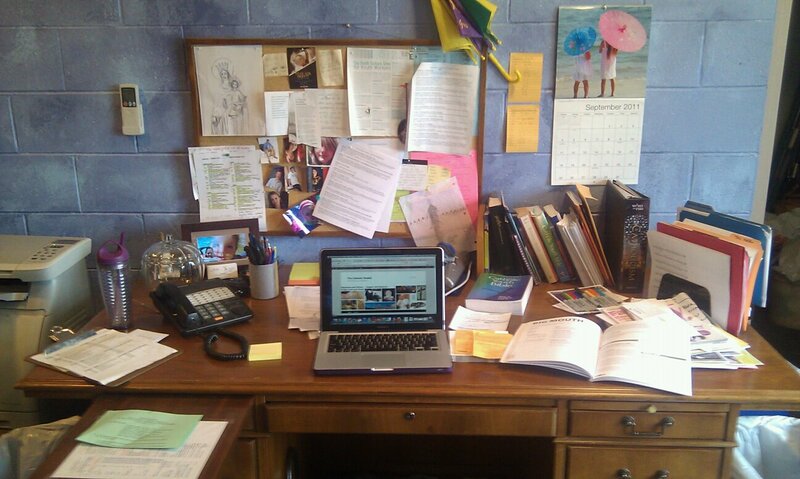 My desk - who knew it had so much to say? I found a post from January of 2010 (told you I was wasting time) called Freeze! Nobody Move! What is on your desk? He spends the article talking about how to reduce the clutter of your workspace (valuable, I’m sure), but as soon as I followed the directions in the title I got distracted (no surprise there! ).